Can I Use Crystals To Help Kittens That Have Tested Positive For Feline Leukemia? Enjoyed your videos, thank you! Any recommended crystals for kittens who test positive for Feline Leukemia? I know that sometimes they test positive under 2-3 months old, but negative after that age, but one in particular I know about is + presently. Thank you! 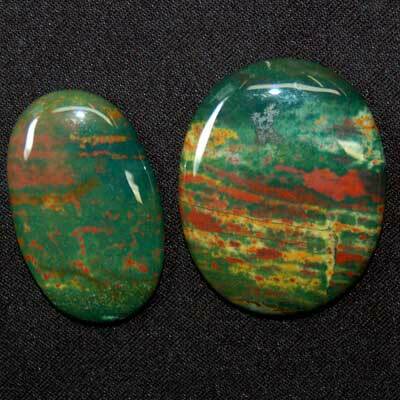 I would suggest Bloodstone for its excellent purification properties and Amethyst, for general healing. Kittens, like human babies, are very sensitive to crystal energy adn you don't want to overwhelm their systems. I'd suggest just "brushing" the kitten with a tumbled Bloodstone while you hold it for 5-10 minutes twice per day. The Amethyst can be used the same way, or you can leave a larger piece of it (so there's no choking hazard) out at all times so that the kitten can easily curl up next to it when it wants to feel the energy. I hope this helps, please let me know if you have any additional questions! Please join us on Facebook, Twitter, Pinterest, and all of our other social media sites! Disclaimer – Crystals are not a medical treatment and should not be used as a replacement for medical care. Please consult your healthcare specialist for your particular needs.